<img width="150" src="http://www.automotive-fleet.com/fc_images/news/m-effingham-2.jpg" border="0" alt="
Kenworth of Effingham has opened a 21,000-square-foot full-service dealership, featuring a 12-bay service shop and a 2,200-square-foot parts department. The Effingham, Ill., dealership sits on a 4-acre lot near Interstates 57 and 70. The dealership’s recent opening came just as Illinois Transportation completed a six-year, $170-million Interstate 57/70 expansion project along a 6-mile stretch from south of Effingham to an area northeast of town. 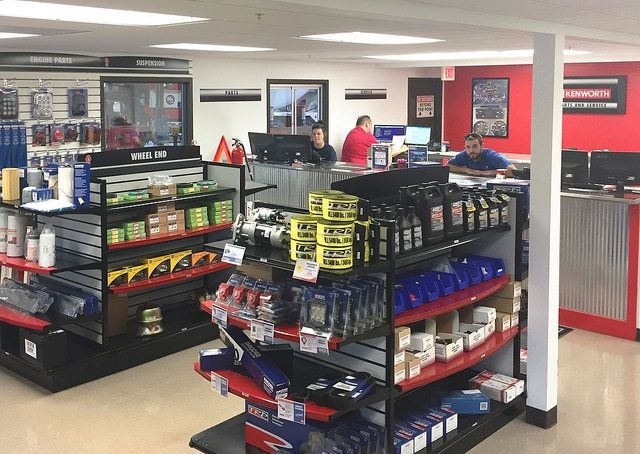 The dealership’s service shop is equipped with a Hunter alignment machine, DPF cleaning, and offers a dedicated bay for diagnosing trucks and providing lubrication service. Kenworth of Effingham also offers driver’s lounge with free Wi-Fi for drivers. Parts and service are available from 7 a.m. to 5 p.m. Monday through Friday. The service department offers full warranty support for Paccar MX series engines. The dealership also provides leasing and rental services through its PacLease franchise.